sorry to hear about Peter's demise :( desmond's Darth Maul also suffered from the same fate. 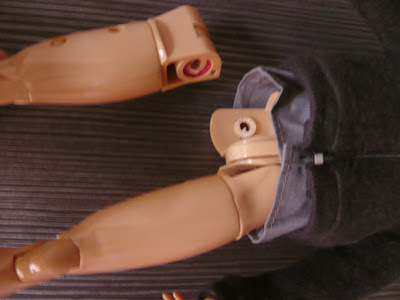 That's the problem with Medicom's figures - their Darth Vader has also suffered from peeling leather costume as reported on some forums, especially if left in the box. shouldn't be the case but it happens :( sad but true - SIGH!! The regular RAH body isn't very articulate. Peter's arms don't even bend the same amount. Sigh.. 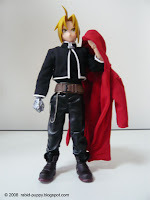 I guess if the figure is using Medicom's rehashed RAH body they've used for years, it's more likely to have faults. Yes Mizu, if Medicom keeps on using the same old technology for making its new bodies. The result is still the same. 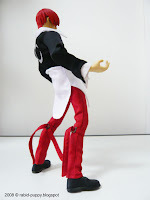 I guess we just to be more careful when posing Medicom figures..Haiz!! Mizu, I will apply super glue on the joint permanently if I do not have extra RAH body. If you have, then replace that. Also, how do you take out the clothes from Peter? Thanks for your input, Desmond. Do you mean the Spiderman costume? On Peter Parker, it's just a half-suit, for his upper torso and arms. If I can't remove it I'll just glue his leg back on. I mean the jacket. I remember the jacket is only allowed to zip up and down but not able to take out from the body. Oh, that's easy. I just unzip the jacket as far as it goes, pose Peter's arms above his head and gently tug the jacket off. It's the skin-tight suit I'm worried about removing..
Hi i am looking for peter parker head sculpt. can you sell me? 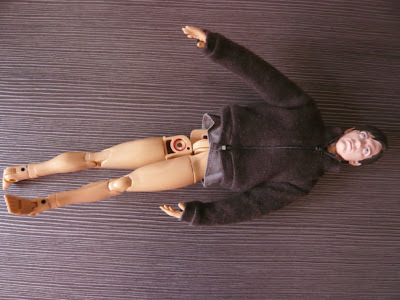 My toy "Medicom RAH" too has broken. 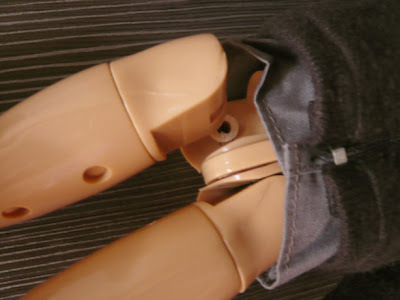 I have inserted the plug to it into a hip,And it can turn. But the hand has then flown away also. Mizu! I feel your pain! 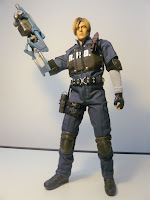 I shared the same fate with you with my Jango Fett figure a while back. All together now, Medicom can Medi my Com!